Until the end of the 16th century, the music north of the Alps was mainly represented by the Franco-Flemish style. Gradually the Italian music became stronger, influenced the new generation of transalpine composers and established the new and extravagant baroque style in the most important courts of Europe. Gemma Musicalis (Nürnberg 1588 –1590) is an anthology of Italian renaissance music, edited in three volumes by Friedrich Lindner, thoroughly compiled to reach a broad German speaking public. Lindner was one of the most productive editors of Italian music in Germany and without doubt a very important figure to introduce the Italian poetic and musical culture to the courts of Bavaria. 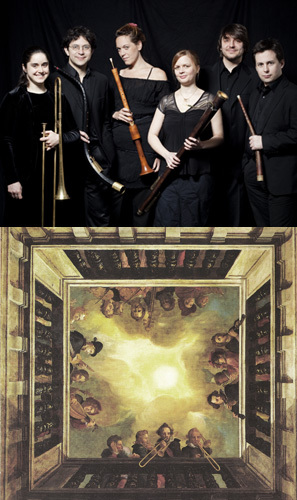 Following the tradition of the “Stadt-Pfeifer”, a group of wind instrument players in Germany, that were in charge of providing music for both public and private events as well as for ecclesiastical festivities , “I Fedeli” presents a programme of Italian madrigals and motets published in Germany during the 16th century by composers like L. Marenzio, G.P. 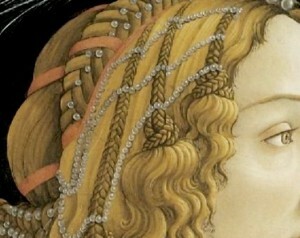 da Palestrina, G.M. Nanino, C. de Rore and J. Regnart.